In 1845, Captain Sir John Franklin attempted to discover a route through the Arctic’s infamous Northwest Passage with his two Royal Navy sailing ships Erebus and Terror. Both vessels were lost with all hands and the mystery of their disappearance in the ice vexed the civilised world until strange rumours began to emerge several years later. The Norwegian explorer Roald Amundsen, who beat Scott to the Antarctic in 1911, finally forced his way through the ice bound Passage in 1906 although there are those who suggest he wasn’t the first. 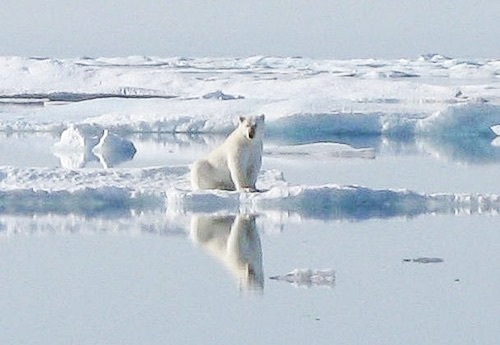 In both instances, neither of these intrepid adventurers had any inclination that global warming would one day (in 2007 in fact) open the route through the Arctic to connect the two great oceans of the Atlantic and Pacific. I daresay the issue of the Arctic getting warmer never entered the minds of Franklin’s crew as they resorted to cannibalism and froze to death. Nowadays, vessels of various types transit the Northwest Passage and it’s still a controversial argument.